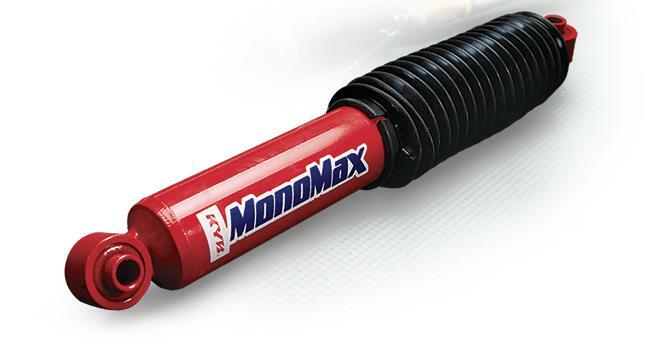 KYB MonoMax Heavy Duty Shocks are specifically engineered to provide better handling and control for SUVs and light trucks. These world class shocks feature a high pressure monotube design which allows for a safer, more stable ride, and an extra large piston and piston rod to handle even the most demanding driving conditions. KYB MonoMax Heavy Duty Shocks are also available for lifted applications.